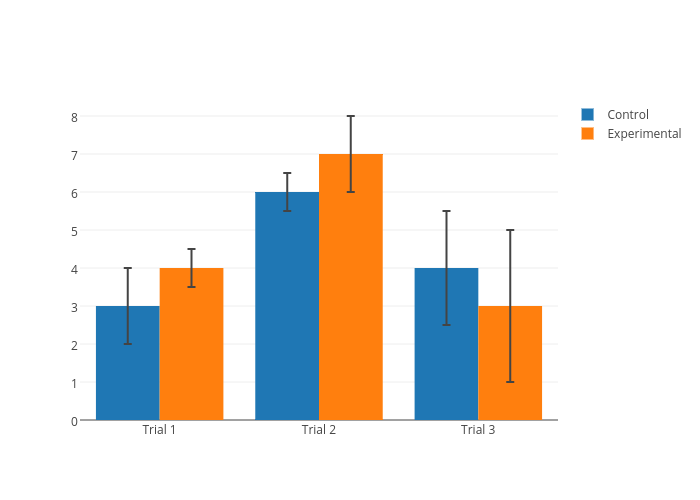 Plotbot's interactive graph and data of "Control vs Experimental" is a grouped bar chartwith vertical error bars, showing Control vs Experimental. The x-axis shows values from 0 to 0. The y-axis shows values from 0 to 0.